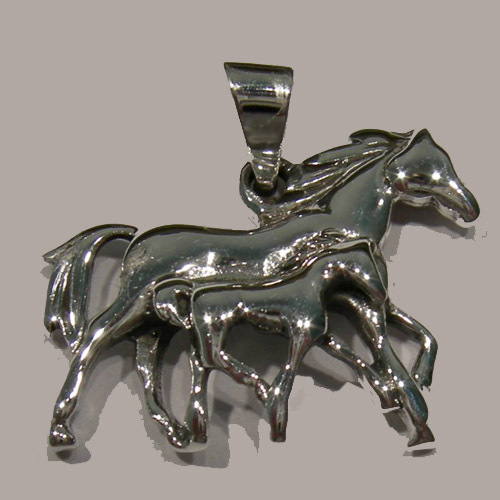 Desc: Sterling Silver mare and foal pendant. The mare and foal are trotting side by side. The pendant has a bright polish finish.